With this feature, you can apply different amounts of pressure to the screen display to make use of the Peek and Pop actions. These actions allow you to preview content and execute commands from your iPhone 6s/6s Plus device without having to fully open an application. To learn more about 3D Touch, Peek, and Pop, please see Take Advantage of 3D Touch at https://developer.apple.com/ios/3d-touch/. As of BeyondTrust Remote Support 16.1, you can use 3D Touch to easily access Jump Items and seamlessly transition between support sessions. Please see the sections below to learn more about the different ways that 3D Touch allows you to multitask during support sessions. Show the "Generate Session Key" shortcut item: When enabled, this preference allows you to display a Generate Session Key option while tapping and holding down the iOS mobile representative console app icon. Reset the Jump Item Quick Actions for this site: When tapped, this preference allows you to clear the frequently used Jump Items list found when tapping and holding down the iOS mobile representative console app icon. Make sure that the preference Show the "Generate Session Key" shortcut item is enabled within the iOS mobile representative console. If this preference is not enabled, the top four most frequently access Jump Items will appear. 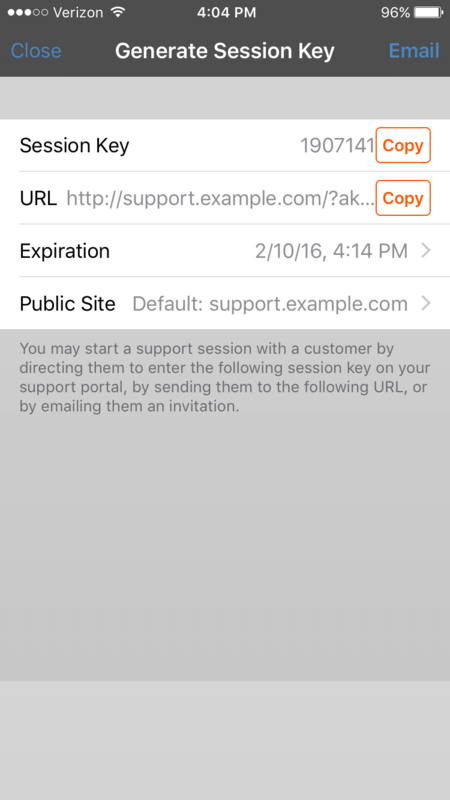 From your iPhone Home display, you can easily generate a session key for your customer by following the steps below. 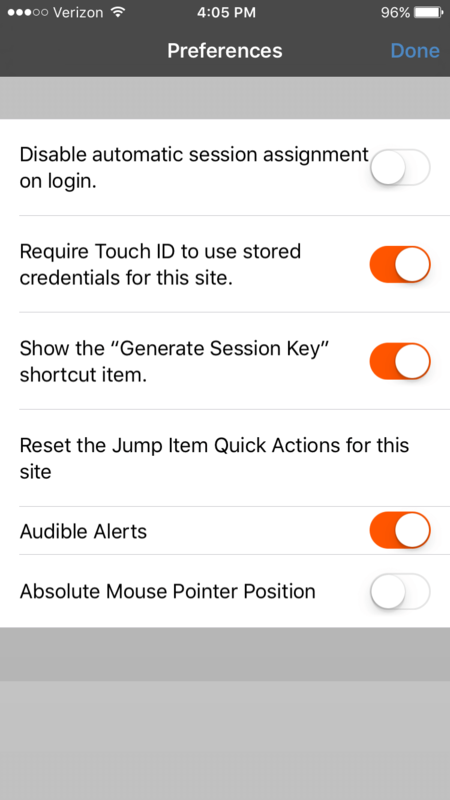 Press and hold the iOS mobile representative console app icon, and a list of your frequently accessed Jump Items and the Generate Session Key option appears. From the list, tap the Generate Session Key option. The session key information appears, allowing you to direct customers to initiate a session by entering the session key on your support portal, tapping on the unique session key URL, or accepting an invitation to connect. Using the 3D Touch shortcut, you can quickly access up to three of your most frequently supported Jump Items from the iPhone Home display. Follow the steps below. Press and hold the iOS mobile representative console app icon, and a list of your frequently accessed Jump Items appears. 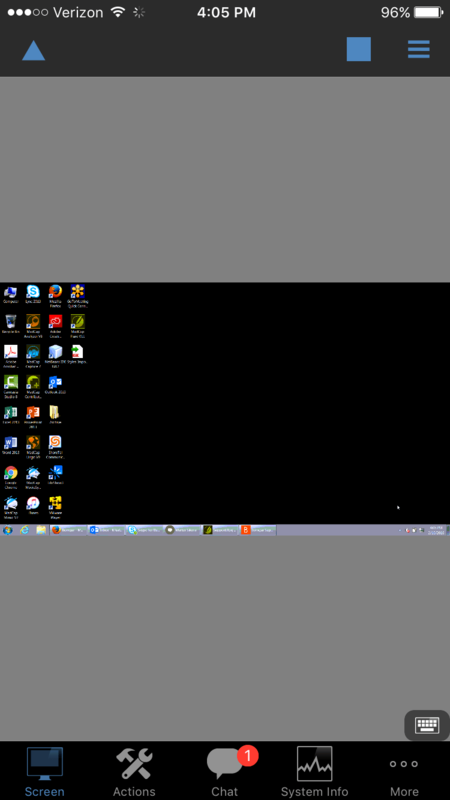 Note that you will have to apply extra pressure to the screen to see the Jump Item options. From the list, tap the Jump Item you wish to access. Immediately, a session should initiate with that Jump Item. To assist representatives with multitasking, the 3D Touch feature enables representatives to preview support sessions with Jump Items. After you have initiated a session and have placed the session on Hold, you can always preview or navigate back to the session using Peek and Pop actions. Follow the steps below to preview a session. From the Session Queues page, locate the queue where the session resides and tap the queue. Once you have tapped the queue, a list of all active sessions appears. To preview a specific session, tap and lightly press on your selection until the session comes into view on your mobile device. While continuing to press on the screen, swipe upward to see more options. The options include transferring the session, returning to the session, leaving and holding the session, and closing the session. 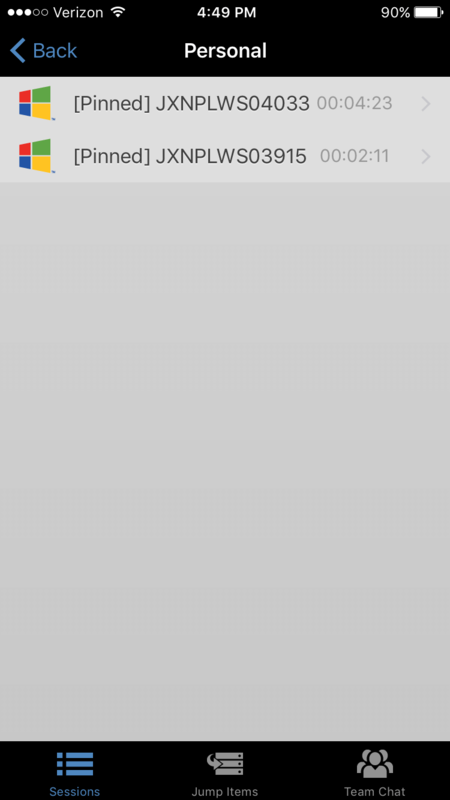 If you do not press with enough force or for enough time, the preview will not appear, and instead, the Session Information page will appear.